Our New Nursery Support Record is the perfect tool for ensuring early year practitioners are able to give a complete summary of each child's progress. Designed with a standard layout, these A5 booklets cover all aspects of nursery time including information about the child's development, the next steps plan and a progress tracker. 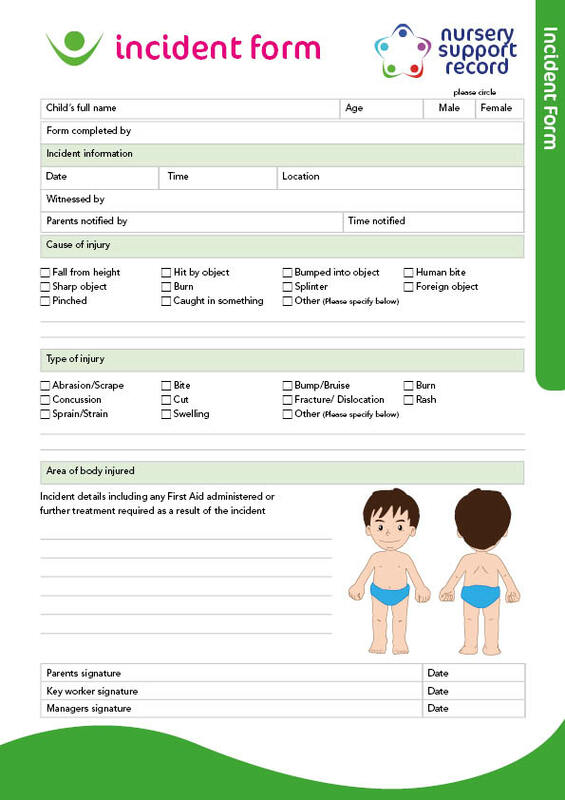 In addition, there are space slots left into the pages to allow teachers, childminders and other carers to attach photographs or other external paperwork. These support record books are also designed to support the transition between schools by bringing staff up to date with the current status of each child's learning. Dependant on your business type, we have a range of log books available to suit your record-keeping needs. This includes our Temperature Log Book for catering environments or our Accident Book.